Lauren Kieffer and Glendening Avis. Photo by Ben Radvanyi. 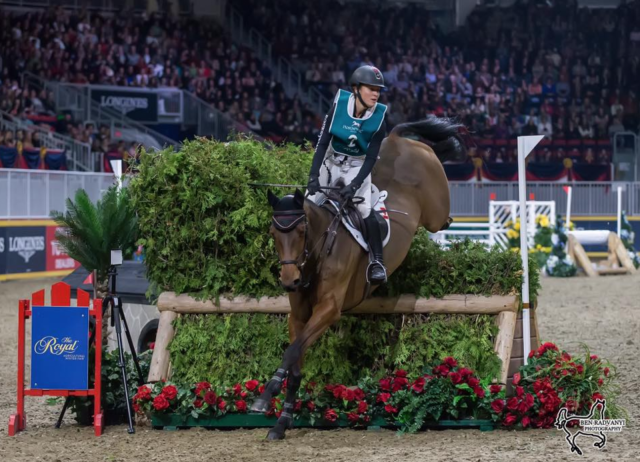 Lauren Kieffer surpassed a stable of other Olympians and distinguished riders to capture the win on the final night of the $20,000 Horseware Indoor Eventing Challenge at Canada’s Royal Winter Fair and Horse Show. 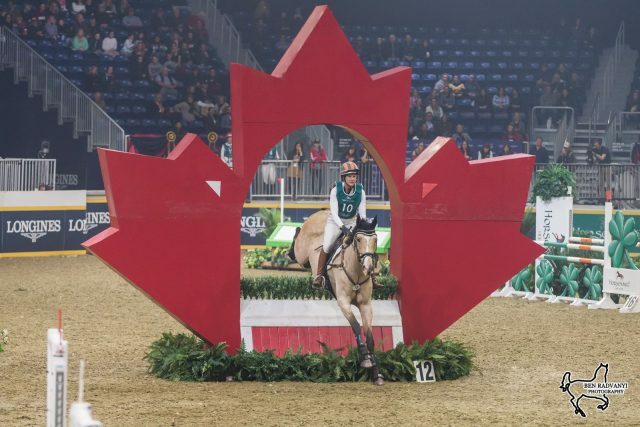 Kieffer, who says she was very honoured to be invited to compete in Toronto at this prestigious event, gives all credit to her mount, Glendening Avis, loaned to her for the occasion by Callie Evans. 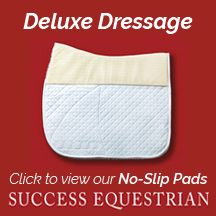 Callie is a Canadian rider who has trained the 13-year-old buckskin mare to the three-star level. 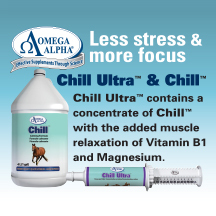 “She is a sweet mare” said Kieffer after their stellar performance in the ring. “I was just saying, ‘ Please like me.’” She rode the Canadian Sport Horse for the first time at 5:00 a.m. the previous morning in a ring with about 40 other horses and only had about 5 jumps with her to get acquainted. 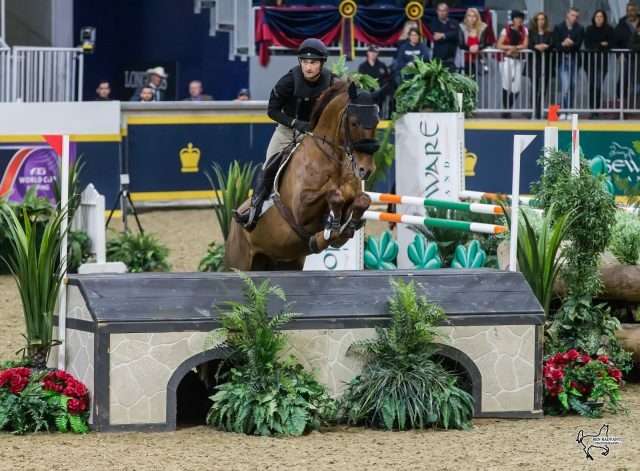 Captain Mark Phillips, the designer for this Indoor Eventing Challenge, made Saturday’s course even more difficult for the finale than it had been the previous evening. 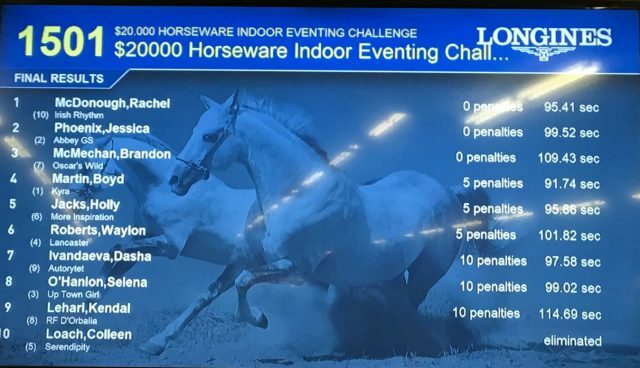 The spoiler fence of the first night of the Horseware Indoor Eventing Challenge was the very last fence: a wide show jumping oxer that saw many riders have a rail here to spoil an otherwise clean ride. The final night’s very first fence, a wide show jumping oxer, very close to and at a ninety degree turn from the start box, proved to be another source of frustration for the riders many of whom had that fence down at the very start of their run. Selena O’Hanlon, first to challenge the course and a crowd favourite, blazed out of the in gate at a dead gallop on Unique, a mare borrowed from Sondra Blair-Bevridge for the occasion. O’Hanlon, going for speed on the course, was unable to persuade her new acquaintance to jump all the jumps. Although O’Hanlon was unable to obtain redemption for the previous night’s ride, she left the ring with a huge smile on her face giving Unique hearty pats on the neck showing what a good sport and a great horsewoman she is. Manny, Diana Burnett’s bay gelding, expertly ridden by Burnett, was really amped up by the cheering crowd but was on a clear round until the last fence where he had an unfortunate rail. Next in the ring, Lindsay Beer riding El Paso, had the very first rail down. Beer’s strategy was to ride the rest of the course at a more moderate speed but taking really tight corners in order to keep the rest of the round successfully clean. Candy King, Holly Jacks Smither’s sweet bay mare and Karl Slezak riding the impressive Irish Sport Horse Fernhill Choco Royale put in great efforts but were not rewarded by clean performances over this very tricky and demanding course. “The atmosphere in the arena is great” Loach says. The whole event provides the riders with an adrenaline rush. Up next was Lisa Marie Fergusson, a former Pony Clubber in British Columbia when growing up, riding Honor Me, a chestnut Welsh Sport Horse, described by Fergusson as her ideal horse for Indoor Eventing. “Pretty brave. Not bothered by distractions on the course. 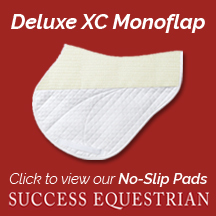 A horse that focuses on the jumps,” she described. Clear over that first bugaboo fence at one, the pair were off to a good start. They took the offset corners at an angle and, with little room to spare, the horse powered up and off the bank but jumped from a long spot at the final fence on the course and took down a rail. Kendal Lehari and Totally Frank. Photo by Ben Radvanyi. Kendal Lehari and her own bay thoroughbred gelding, Totally Frank, were next to go. As only one of three clears on the previous night, they were set to put the pressure on the next two riders. Lehari skillfully steered her big fellow around the course putting in a great jump up the bank at a slight angle and leaving all the poles in the cups and jumping through all the flags to go clear again. Brandon McMechan and Oscars Wild. Photo by Ben Radvanyi. Glendening Avis and Lauren Kieffer, the final partnership on the course cantered into the ring knowing that in order to win they have to leave everything up and they have to be very quick. This mare and her rider put in a perfect fast round shaving more than a second off McMechan’s time to win the title. Speaking later Kieffer said: “Brandon and Kendal certainly put the pressure on us. 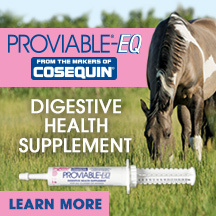 But the mare tries her guts out. With so little warm up it’s hard to figure out where you are as a pair. I felt so in sync with her.” Kieffer joking told Callie Evans, the mare’s owner, that she might be trying to stuff the mare into a suitcase to take her home to The Plains, Virginia. 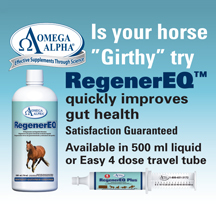 All the riders were asked if they thought that Indoor Eventing is a good showcase for the sport of Eventing. All agreed that it is very different from what Eventers do on a regular basis, but that it is a good way to promote the sport. “It’s fun. 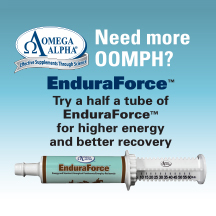 It’s energetic. 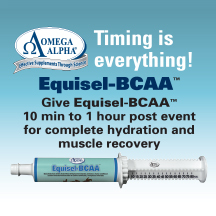 If you get even 1 person to go eventing and get into it then its done its job,” said Kieffer. Everybody also agreed that the fans are great, very supportive and knowledgeable. 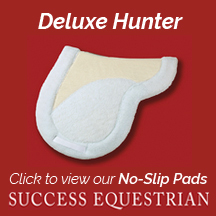 Indoor Eventing gives people a chance to see just how skilled and careful Eventers really are. The revamped scoring system rewards careful riding not just speed. The horses look like they are having fun along with the riders. Good horsemanship was demonstrated by everyone invited to ride. Lauren Kieffer and Glendening Avis. Photo by Ben Radvanyi Photography. The words ‘Indoor’ and ‘Eventing’ do not usually appear together, but once a year for two consecutive nights, The Royal Horse Show produces an exciting and thrilling exhibition of top calibre riders and horses challenging each other over a mix of cross country fences and show jumping rails. Spectators are on the edges of their seats as the talented riders steer their brave horses at a speedy pace over the type of solid cross country tables, banks and brush fences usually seen only at outdoor events as well as delicately poised show jump rails that may be almost blown off their cups by the sheer speed of the horses as they jump over them. 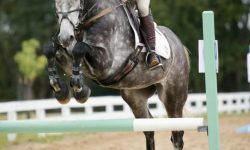 The crowd is always thrilled by the solid imposing fences and the bank jump, but perhaps the biggest challenges are the show jump rails which can catch out even the best of riders. 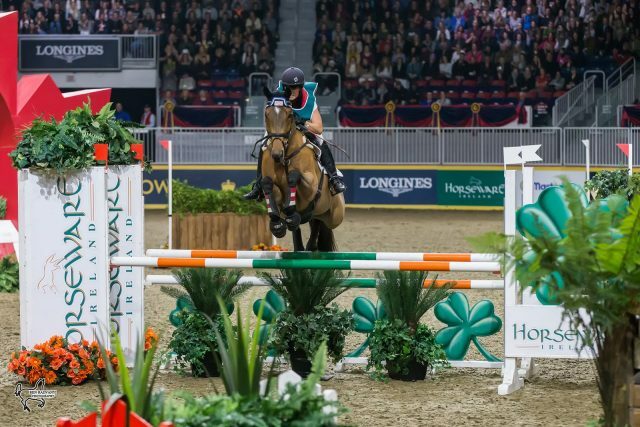 The final fence on course, a wide spread with show jump poles painted the colours of Ireland, home to Horseware, the event’s sponsor, proved to be the nemesis for several partnerships. Lindsay Beer was first into the arena riding El Paso, a chestnut Trakehner gelding owned by her Mother, Penny Beer. El Paso and Beer, as the pathfinders on the night, had a successful round until the very last fence where they had a rail down to the groans of the crowd. Diana Burnett riding her own horse Manny, an elegant bay thoroughbred, were unfortunately eliminated when they went off course. They will be looking for redemption tonight in the second round. Selena OHanlon and Unique. Photo by Ben Radvanyi Photography. The audience was on the edge of their seats with excitement when Selena O’Hanlon galloped into the ring riding Unique, a Paint mare loaned to her for The Royal by Sondra Blair-Bevridge. 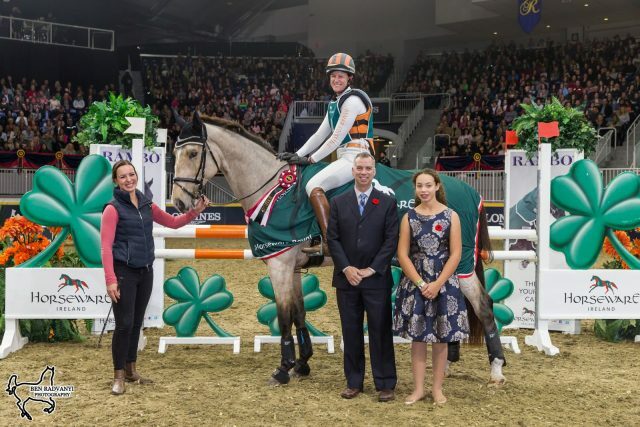 O’Hanlon was named Canada’s Equestrian of the year in 2017 and has had a busy, successful year riding at Badminton in England, winning the Bromont Horse Trials in August and competing at the World Equestrian Games in September. Unique and O’Hanlon, having had very little time to get acquainted before the show, will also be looking for redemption tonight as they had a couple of run outs on the course. Next into the ring, Karl Slezak put in a well ridden round on Fernhill Choco Royale, owned by Katlyn Hewson-Slezak, cutting a few corners to cut time and pouring on the speed but again the final rail of the course came down despite the strong efforts of the dark bay Irish Sport Horse. 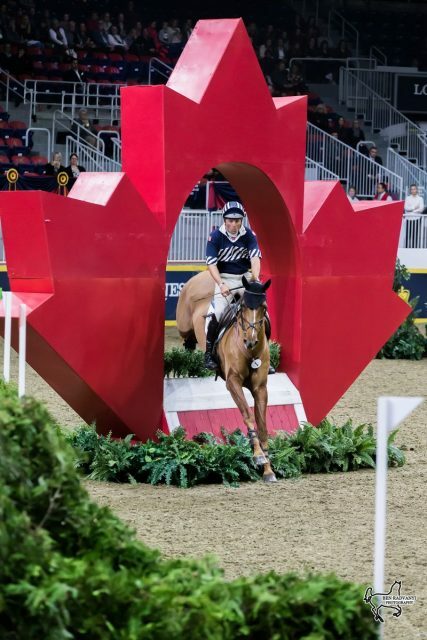 Colleen Loach, a member of Canada’s Pan American, Olympic and World Equestrian Games teams, charged into the ring riding Serendipity, Brooke Massie’s bay Thoroughbred mare. Loach burned up the arena, turning up the speed, jumping several fences at an angle and looked like having a clear round until the rail at the very last fence fell again. Riding into the ring next was Lisa Marie Fergusson on Honor Me, a chestnut Welsh Sport Horse owned by Fergusson herself. 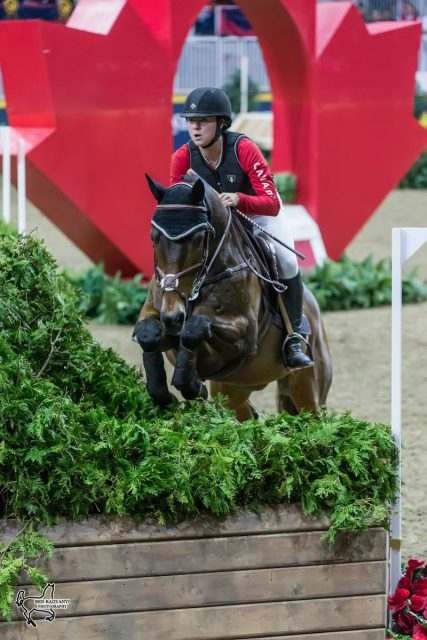 Fergusson, another member of Canada’s World Equestrian Games squad who rode in her first event at the age of 12, had a speedy round giving the crowd a shiver when Honor Me almost had a tip up at the bank. Her clear round was marred by that pesky last fence as they dropped a rail at the oxer. Brandon McMechan, an amateur rider competing very successfully at the Advanced level of Eventing, was next in the ring with his own bay thoroughbred gelding Oscar’s Wild. McMechan was going for the win as he and Oscar navigated the course, not appearing to speed but taking the smart routes and corners. The last fence stayed up to give McMechan and Oscar the lead momentarily until the next pair, night one leaders Lauren Kieffer and Glendening Avis. Owned and ridden by Holly Jacks Smither, Candy King was the next horse in the ring. Riding for breast cancer awareness in honour of her friend Amanda Davidson, Jacks Smither braided her bay mare with pink braids and the horse wore a fly bonnet with a pink ribbon printed on it. Candy King was both speedy and careful but again had the unfortunate last rail on the course. The final horse on course was Totally Frank, a bay Thoroughbred gelding owned and ridden by Kendal Lehari who began her eventing career at the age of eleven and has ridden in the Indoor Eventing class at The Royal since it’s inception. Lehari rode an exciting course making tight turns on her big horse and taking many fences at an angle but taking a slightly longer route to the bank cost her time despite a clear performance with no rails down. Talking to the riders about why they enjoy Indoor Eventing, they all talked about the adrenaline rush of the ride, the camaraderie of the group of riders at the event and, for those coming from the local area, the fun of having family, friends and supporters come out to cheer them on. 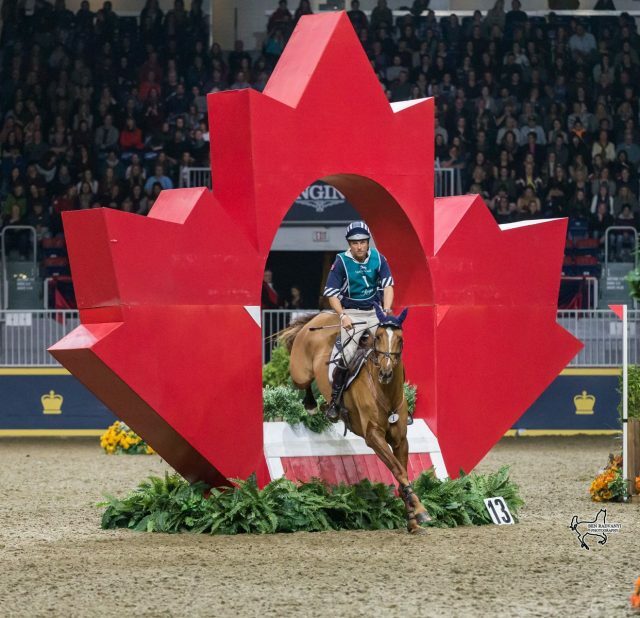 The Royal Horse Show, now it its 96th year as part of the Royal Agricultural Winter Fair, is a huge tradition for Canadian horse enthusiasts.Everyone is looking forward to another great night of Indoor Eventing tonight. Stay tuned for the wrap up tomorrow! Jessica Phoenix and Abbey GS. Photo by Ben Radvanyi Photography. 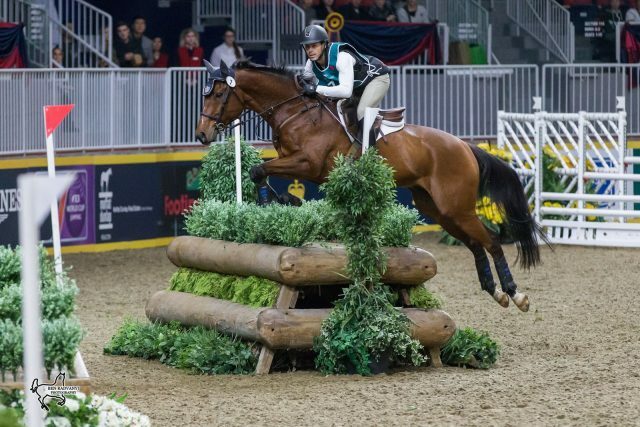 Jessica Phoenix and her Trakehner mare Abbey GS captured the $6,000 top prize of the Horseware Indoor Eventing Challenge at the Royal Agricultural Winter Fair in Toronto last night. 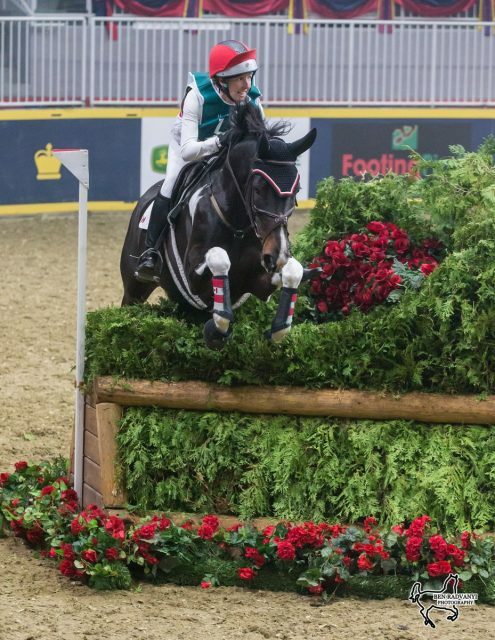 The capacity crowd roared their support and approval as Jessica and the 16-year-old mare, owned by Charlotte Schickedanz and bred at Galten Farms just north of Toronto, made the twisty, challenging course look easy. Saturday night’s course in front of the loudly enthusiastic crowd was changed for the second round. The distances between the first four fences gave the riders a chance to open up their horses and get up some speed to thrill the audience while the placing of the fences, especially later in the course, called for careful, balanced riding while going at speed. “They did a fantastic job of organizing those courses; the layout was exceptional,” Jessica said in discussing Captain Mark Phillips’ design. Boyd Martin and Kyra. Photo by Ben Radvanyi Photography. 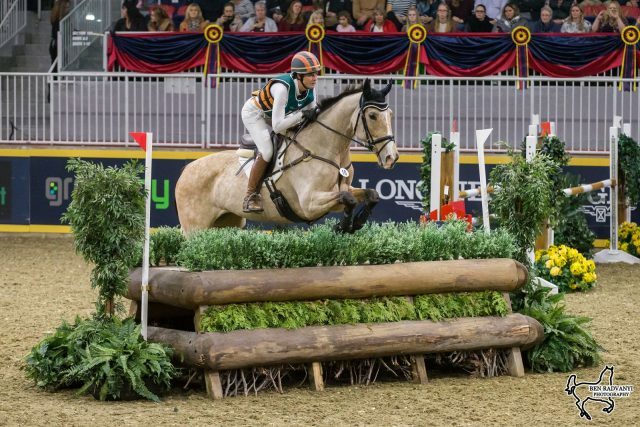 Indoor Eventing at the Royal gives top eventing athletes a chance to demonstrate the sport before a loud and enthusiastic crowd of people who may never normally see an eventing contest in its regular outdoor format. 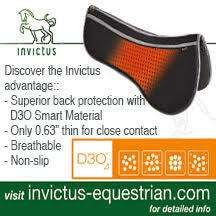 However, Indoor Eventing poses some unique challenges for riders more used to the pace of long outdoor courses. Boyd Martin, who placed third on the trusty chestnut mare Kyra, laughed as he talked about warming up in a “parking lot” for the course. He was referring, of course, to the low ceiling warm-up area just off the main arena: “My head was close to the roof a few times,” Boyd said. He also joked about having a mere 15 minutes to walk and memorize the course instead of a couple of days to analyze and work out the striding. Boyd’s plan for the second round was to “go as fast as possible and leave all the rails up”. 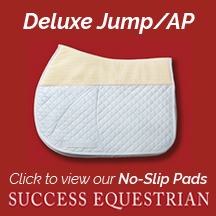 He and his spectacular jumper, the Canadian-bred Warmblood owned by Christine Turner from Texas, did exactly that. The pair posted one of the fastest times of the night but a “really, really annoying rail yesterday” proved to be very costly as it meant that they were carrying 5 penalty points from the first round so they had to settle for third place. Brendon McMechan and Oscar’s Wild. Photo by Ben Radvanyi Photography. Brandon McMechan grabbed second place behind Jessica riding in his first ever Indoor Eventing Challenge. He was thrilled with the performance of his 8-year-old off-track Thoroughbred “too slow for racing, but fast enough for this” Oscar’s Wild. McMechan explained that at this time of year the gelding was usually “on vacation” and he laughed that he felt the horse was doing him a favor by coming to the Royal to compete. A nice positive and conservative ride which left all the poles in the cups and saw no awkward moments at the imposing cross country style fences meant that the pair left the arena happily in second place. The youngest rider in the competition and the leader after the first night, 25-year-old Rachel McDonough, blazed around the course with the boldness of youth on her side. 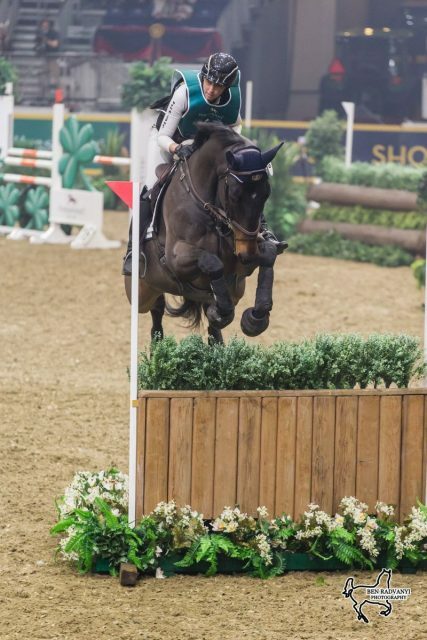 Unfortunately, as the crowd was cheering them on to victory, Rachel and her 18-year-old Thoroughbred Irish Rhythm had a rail down at the very last fence, an oxer. The slight hiccup dropped them down to fourth place. Holly Jacks-Smither and More Inspiration had an inspired round as the pair took any fast route they could to shave valuable seconds from their time. They gave the crowds quite a thrill but the 5 penalties they had incurred from the first night kept them in fifth place. Waylon Roberts, an 8-time winner of this event was riding his old friend John and Michelle Koppin’s Lancaster. They posted a textbook second round. Waylon was so thrilled with his clear, deft and classy ride that he gave a fist pump at the end of it. He excited the crowd by doing a wild gallop around the ring and tried to high five some of his many fans who were leaning on the rails cheering him on. Selena O’Hanlon is presented with the coveted Michael Gutowski Award. Photo by Ben Radvanyi Photography. Selena O’Hanlon, riding Linnea Given’s Uptown Girl, broke the crowd’s heart when, after a lovely clear round, she and the dark-bay Hanoverian mare were another to have a rail down at the last fence on course. 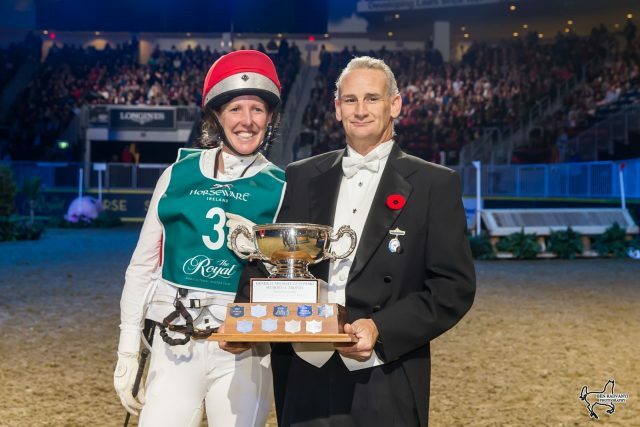 Selena’s night improved as she was presented with the Michael Gutowski Award as the highest placed Canadian in the FEI International Standings this year. She leapt to her high placing internationally when she and her long time partner Foxwood High, owned by John and Judy Rumble, made history by being the first Canadians ever to win at the Dutta Corp. Fair Hill International CCI3*. Selena was thrilled to be presented with an award honoring the late General Michael Gutowski, affectionately known as “the Colonel”. Gutowski was a decorated Polish war hero. A career cavalry officer and an accomplished horseman, he rode in the 1936 Berlin Olympics as a member of the Polish Equestrian team. After his distinguished and heroic war career fighting in the 1st Panzer division fighting alongside the Allies after the invasion of Normandy, he came to Canada where he became trainer of the Canadian Olympic Equestrian Team. Gutowski was an Inaugural Member of the Canadian Eventing Hall of Fame, inducted in 2009 as a Builder. Coincidentally John Rumble, owner of Selena O’Hanlon’s mount Foxwood High, was also inducted into the Hall of Fame in the same year as a member of the 1956 Olympic Bronze Medal Team along with his horse at the time, Cilroy. 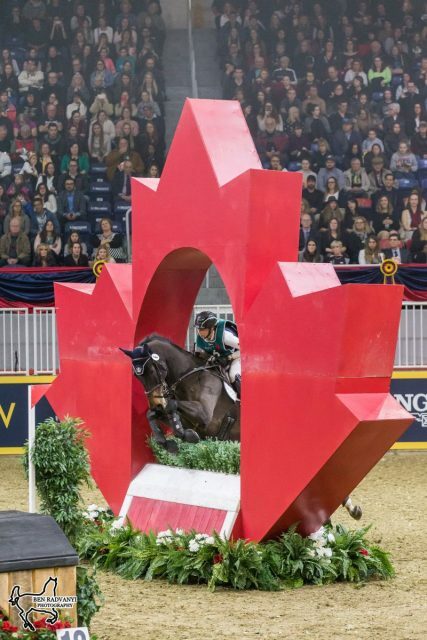 Gutowski brought the classical form of European equitation to Canada. His training principles are the foundation of the coaching system today. He was also the coach/trainer of many of the riders that have competed for Canada at the Olympics as well as other international championships. Show jumper Ian Millar, Captain Canada himself, is honored to have it known that he trained extensively with “the Colonel” in his youth. Holly Jacks-Smither and More Inspiration. Photo by Ben Radvanyi Photography. Turning again to the Indoor Eventing results, Autorytet, the handsome grey 15-year-old Polish Warmblood/Thoroughbred cross owned and ridden by Dasha Ivandaeva, objected to the bright pink wooden pig he was asked to jump when first presented to it but he overcame his reluctance and leapt neatly over it the second time to bring his rider home in eighth place. Colleen Loach and Brooke Massie’s Serendipity, having incurred a technical elimination on the first evening, put in a lovely, fast round. Kendal Lehari’s usually reliable RF D’Orbalia, had a bad day at the office and took exception twice to the job at hand which led to elimination for this normally spectacular partnership. 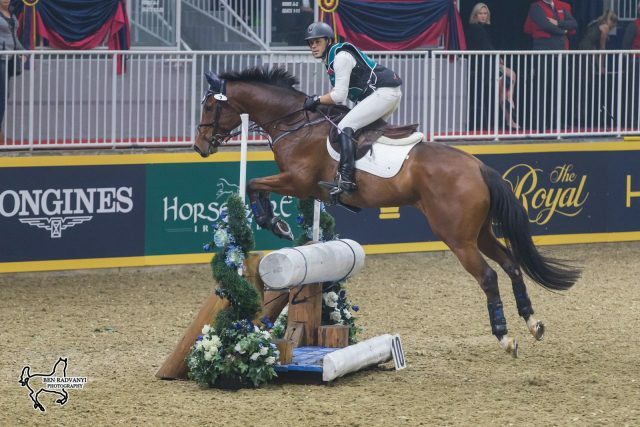 Indoor Eventing at the Royal Winter Horse Show is definitely a highlight of the 8-day show for the enthusiastic spectators and also for the riders who are pleased to be able to showcase their sport in such a fun and supportive atmosphere. Boyd Martin said that he had no idea that the Fair was this “awesome” or he would have come many years before. His many fans in Toronto will be delighted to hear that he hinted that he would like to come back in the future. Rachel McDonough and Irish Rhythm. Photo by Ben Radvanyi Photography. 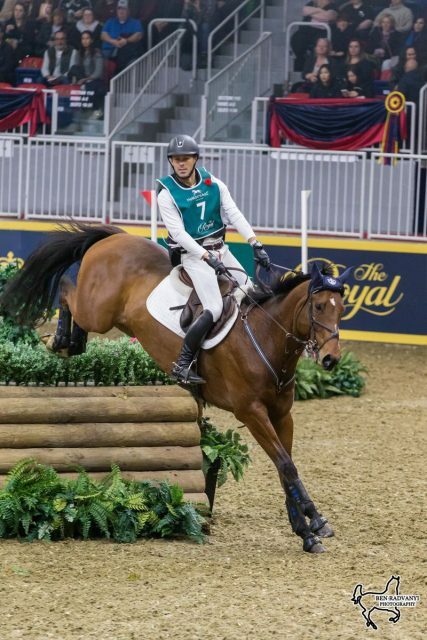 Rachel McDonough cut valuable seconds off the clock by taking a tricky inside turn through a narrow space between two jumps to grab the lead on the first night of the $20,000 Horseware Indoor Eventing Challenge at the Royal Agricultural Winter Fair in Toronto, Canada. Twenty-five-year-old Rachel, originally from Toronto but now based in The Plains, Va., is happy to be back home for what she regards as a little holiday to contest for the $6,000 in prize money that the winner will take home. 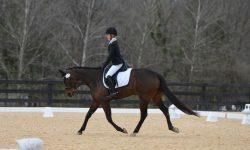 She credits her 18-year-old Thoroughbred Irish Rhythm, her partner for the last 12 years, with the speed and balance to make those tight turns possible. Rachel knows that at the final tomorrow night the pressure will be on as everyone will have had a chance to re-evaluate their battle plans. 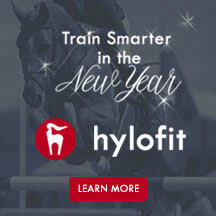 Captain Mark Phillips’ clever course is designed to reward the bold horse and rider team who can simultaneously ride forward for speed, in control for tidy turns and careful enough to leave the rails in the cups all while the noise of the crowd fills their ears. 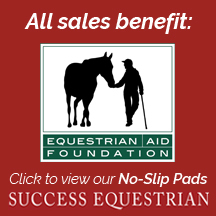 This Indoor Eventing course is an exciting mix of colorful eventing type jumps featuring narrow corners, a keyhole, brush, a bank with a drop as well as some show jumping rails and oxers. Waylon Roberts and Lancaster. Photo by Ben Radvanyi Photography. 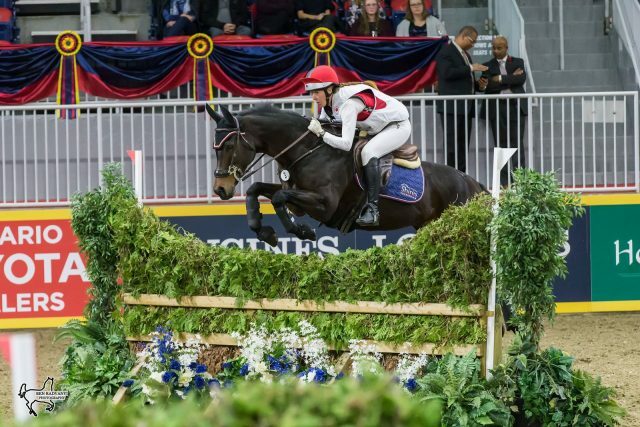 The Indoor Eventing Challenge was the first event of an action packed first night of the Royal Winter Fair and Horse Show, the largest combined agricultural and equestrian fair in the world. The early start meant that the stands were not at full capacity but the enthusiastic crowd, any of whom bought their tickets especially because of the Horseware Eventing Challenge, roared their approval and were loud in their appreciation of all the riders. The evening got off to a thrilling start as Elise Saunders sang the song “Rise” inspired by the incredible story of Jessica Phoenix who overcame many challenges to become a member of Canada’s successful World Equestrian Games, Pan American Games and Olympic Games teams. Jessica, a crowd favorite, riding Charlotte Schickedanz’s lovely Trakehner mare, Abbey GS, her regular Indoor Eventing partner, rode a smooth, balanced round to finish second only 4.11 seconds behind Rachel. Brendon McMechan, new on the Indoor Eventing scene, rode his own Oscar’s Wild to third place 9.91 seconds behind Jessica and a full 14.02 seconds behind Rachel. McMechan’s feat is all the more surprising because unlike all the other riders in this ten-team field, he is not a full time equestrian. McMechan is a chiropractor and credits Gwen and Kendal Lehari, with whom he and Oscar’s Wild train, with making it possible for him to both ride and work. 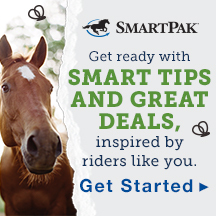 Boyd Martin is this year’s international celebrity guest rider and another crowd favorite. An excited trill ran through the audience, and the three young ladies seated behind me nearly dropped their popcorn as Boyd rode into the arena riding Kyra. 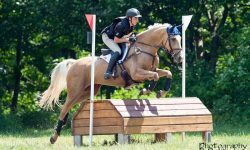 Boyd and the chestnut mare finished second at the Rolex Central Park U.S Open $50,000 Arena Eventing in September. Boyd gave Christine Turner’s 10-year-old Canadian Warmblood a good long look at the course while the announcer made the pair’s introductions over the loud speaker. An unfortunate rail on the very last fence, an show jumping oxer, made the crowd groan as Martin’s blazing fast round added 5 penalty points to his total going into the second round tomorrow. All the other riders are still “in it to win it” going into tonight’s second round. Waylon Roberts, 8-time winner of this event, had an uncharacteristically slow round and a 5 point penalty. 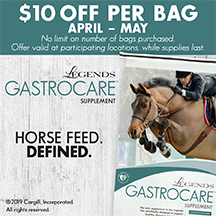 He and his long-time partner Lancaster, a 10-year-old Canadian Sport Horse owned by John and Michelle Koppin, are sitting in sixth place behind Holly Jacks-Smither, the night’s trail blazer, and her 12-year-old Thoroughbred More Inspiration. 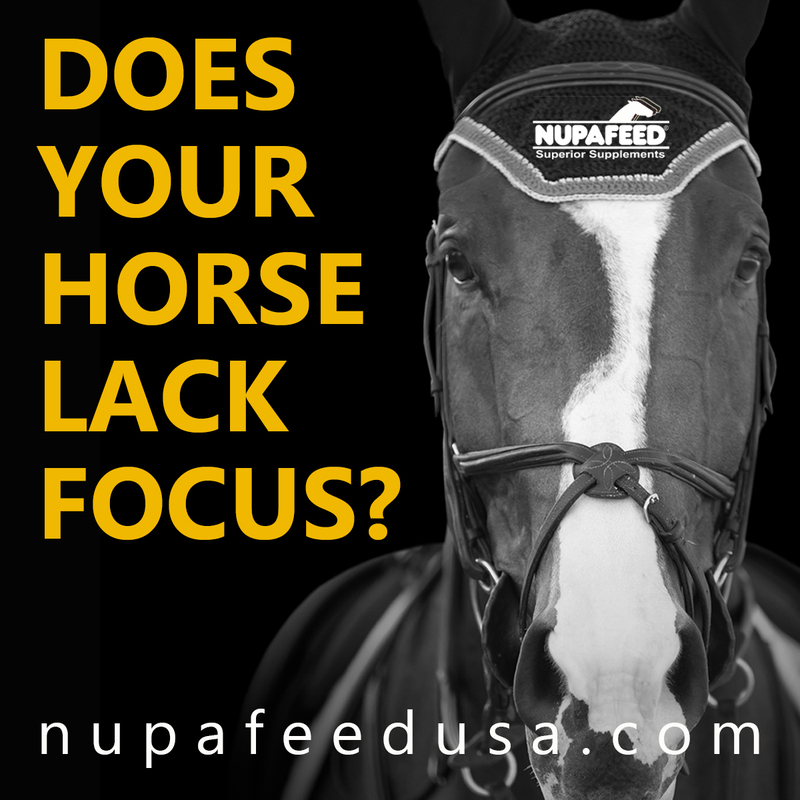 Roberts is just ahead of Dasha Ivandaeva and Autorytet, her 15-year-old Polish Warmblood/Thoroughbred gelding with whom she competes at the Advanced level. Selena O’Hanlon and Uptown Girl. Photo by Ben Radvanyi Photography. Selena O’Hanlon, first Canadian winner of the most recent running of the extremely challenging Dutta Corp. Fair Hill International CCI3* on John and Judy Rumble’s fantastic Foxwood High, rode Uptown Girl in this first round at the Royal into eighth place. Scores are so close in this event that Uptown Girl, a 13-year-old Hanoverian mare owned by Linnea Given, cannot be counted out. Jessica Phoenix confided to me before the evening began that she picked Selena for the winner’s circle, so anything may happen on the second night. Kendal Lehari rode the Dutch Warmblood mare R.F. D’Orabalia, owned by the Syndicate of the same name, rode like a sports car zooming around the turns and thrilling the crowd. They had an unfortunate stop on the top of the bank to add 10 penalties to her score. 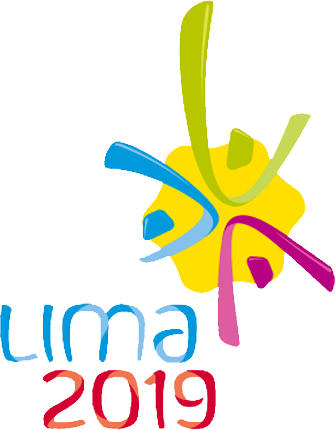 Colleen Loach from Sherbrooke, Quebec and a member of the 2015 Pan American Games and 2016 Rio Olympic teams was unlucky enough to miss the start timers at the beginning of the round and so were eliminated. This was doubly unfortunate as she and Brook Massie’s Thoroughbred mare, Serendipity, turned on the speed early and put in a great round. They will be out for redemption the second time around. Rachel McDonough and Irish Rhythm will be ready for them. McDonough will be ready to amp up to defend their first night first place finish against the pack baying at their heels.